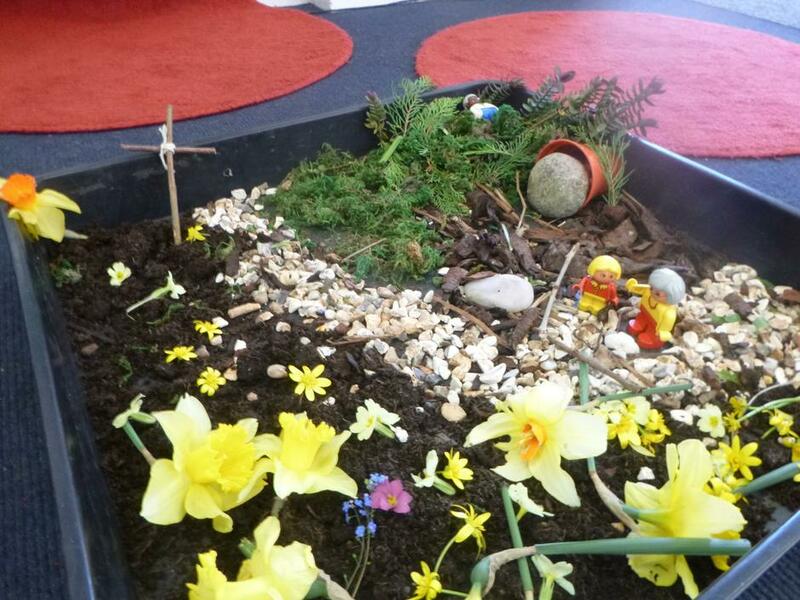 This week Giant class have been learning about the Easter story. 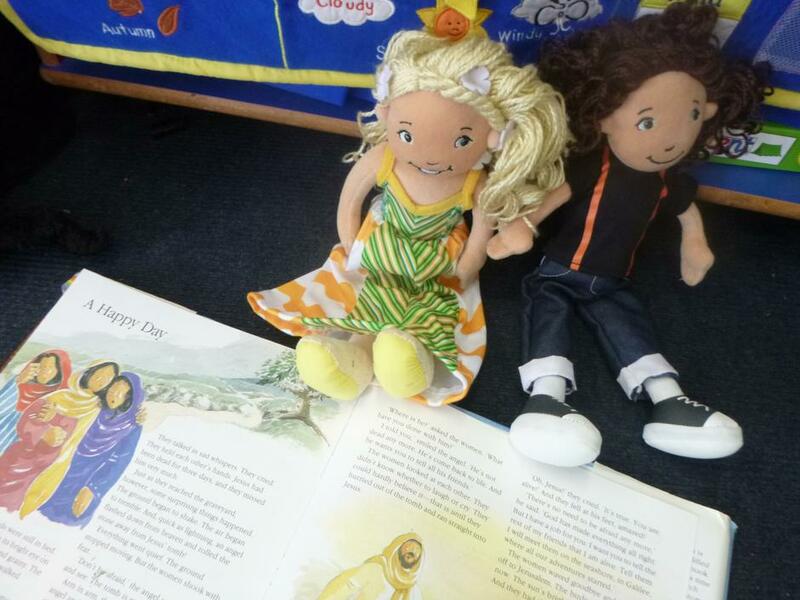 Our Christian dolls Tom and Tessa have been helping us to understand Easter is happy celebration because Jesus didn’t stay dead he came back to life. 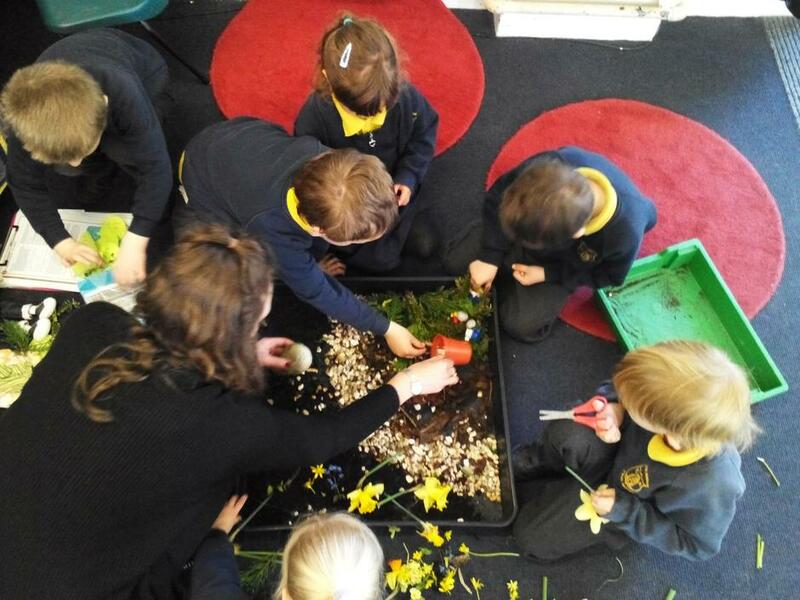 We created our own Easter garden, collecting materials and flowers from the peace garden. 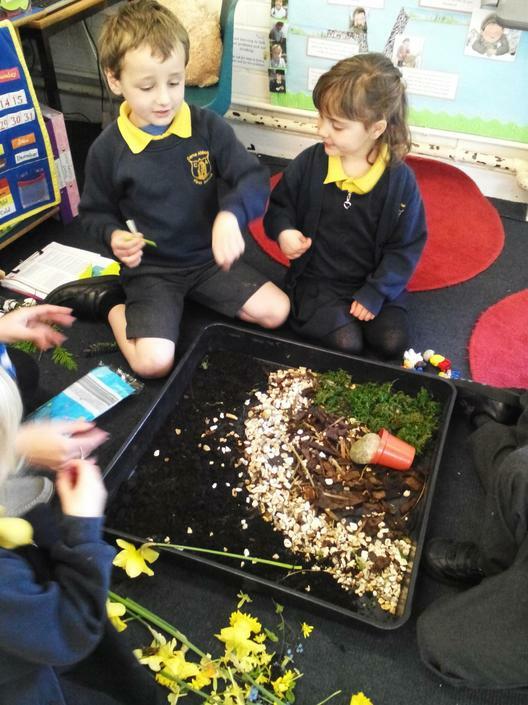 We used gravel to create a path, shrubbery to make trees, soil and spring flowers and adding a flowerpot as a ‘tomb’ with a stone to cover the front. 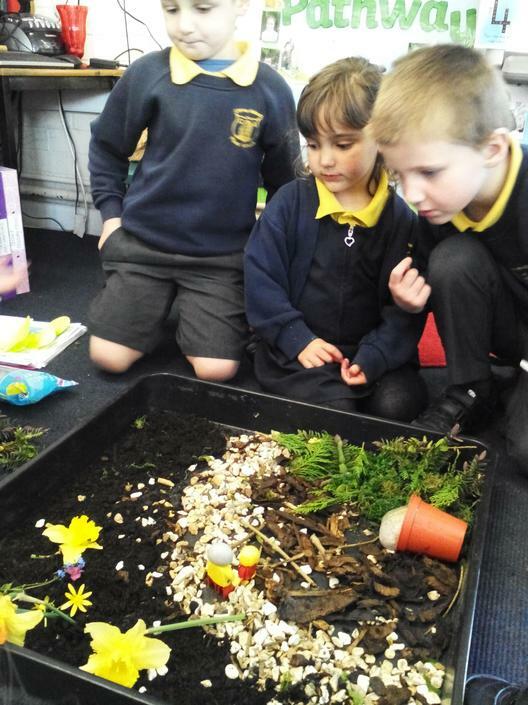 We added Duplo characters and used our garden to retell the story. 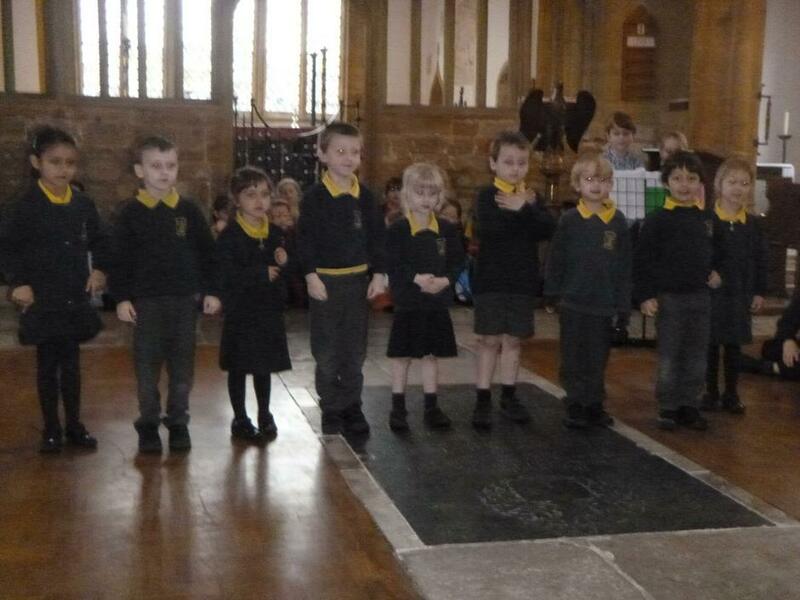 On Tuesday it was our school reflective day. 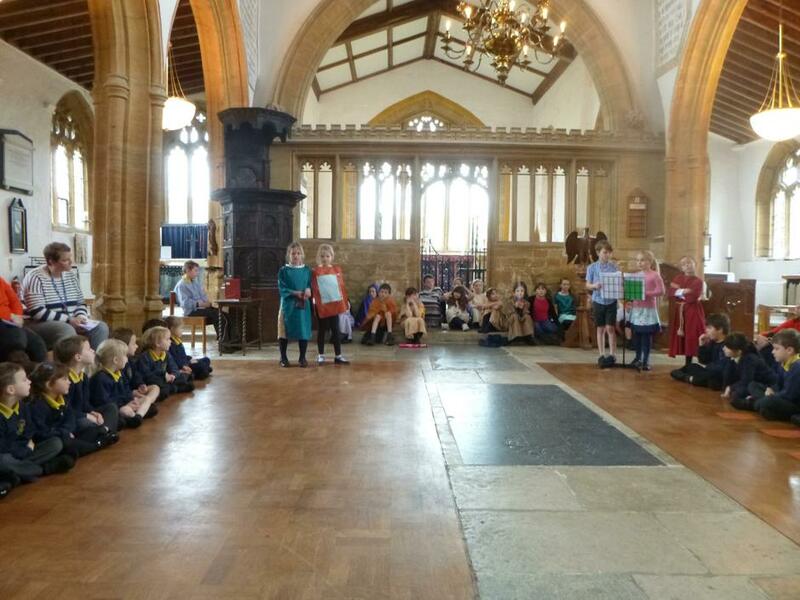 We went to the church for our Easter service, thank you to all the parents that came to watch! I hope you enjoyed our ‘spring chicken’ song! 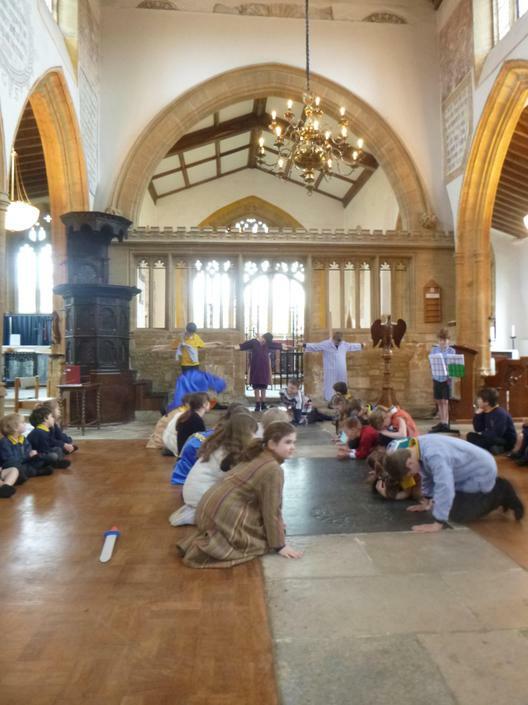 In the afternoon we watched and participated with a performance of the Easter story with the Rainbow theatre company. 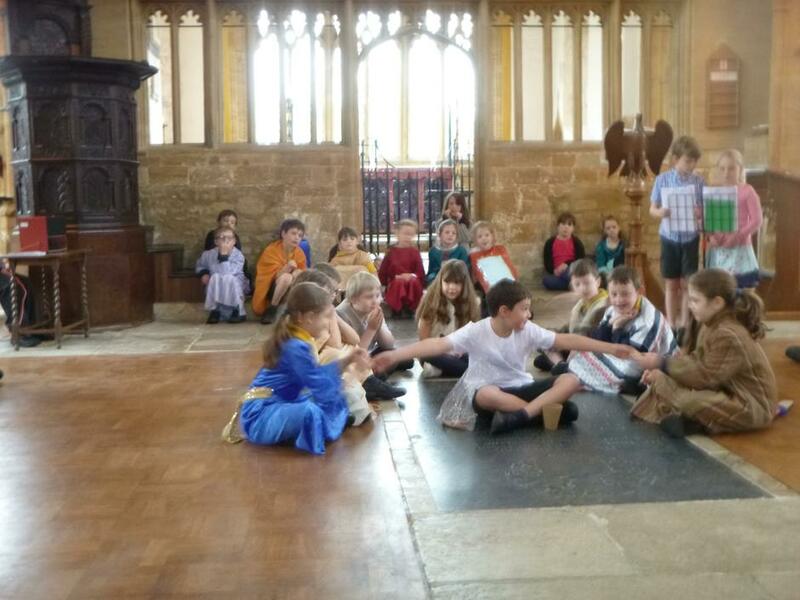 There was lots of singing and children were used as different characters. 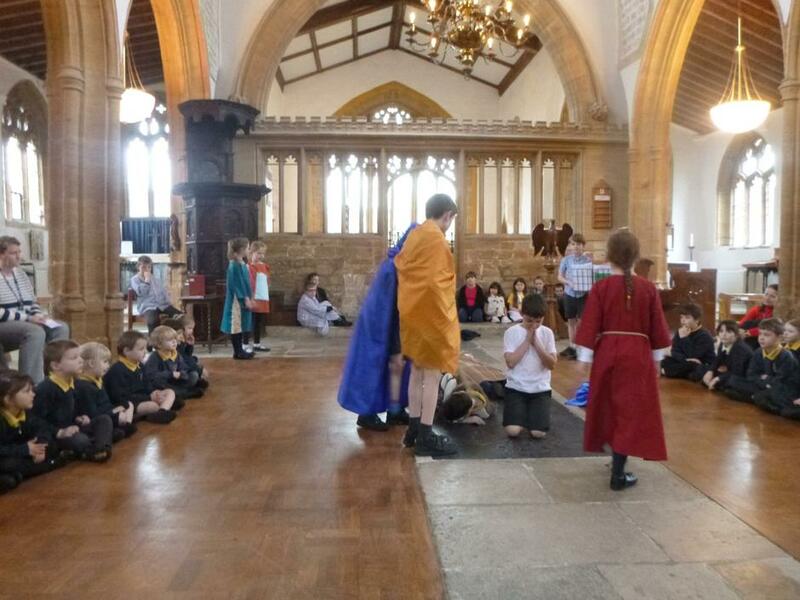 It was exciting to take a part in the story; we learnt lots about Jesus and his 12 friends that stood by him. We finished the week with an Easter egg hunt! 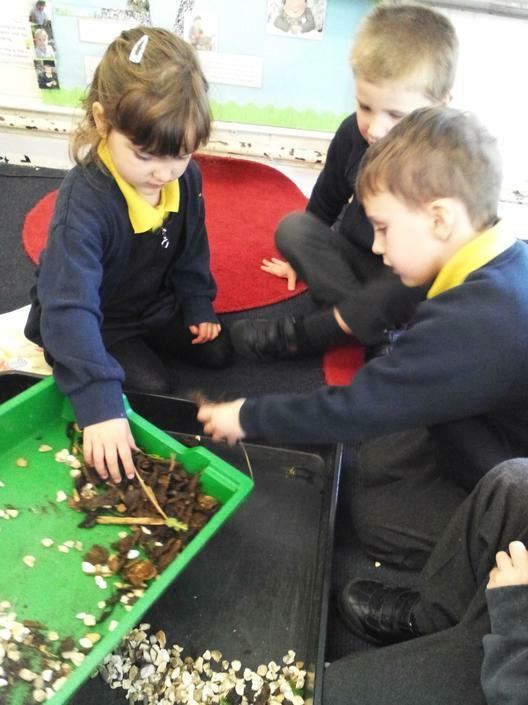 Searching for the other half of the egg shapes and winning a chocolate egg to take home! I hope you all have a restful Easter break and enjoy some springtime weather! 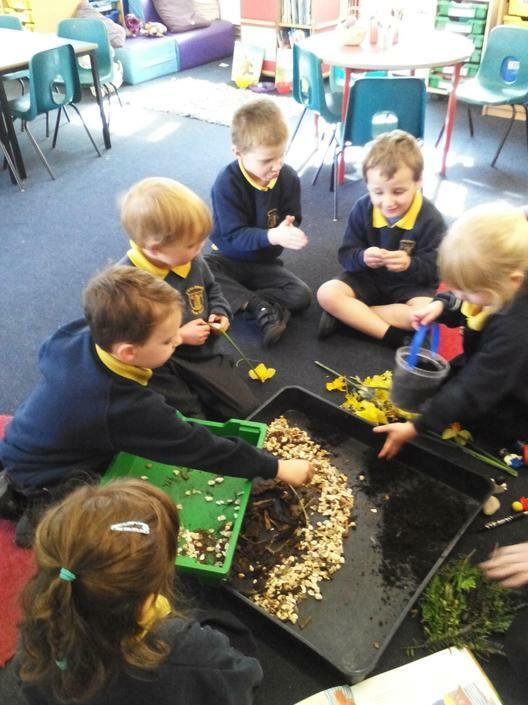 I’ll see you all next term with our new Ducklings! 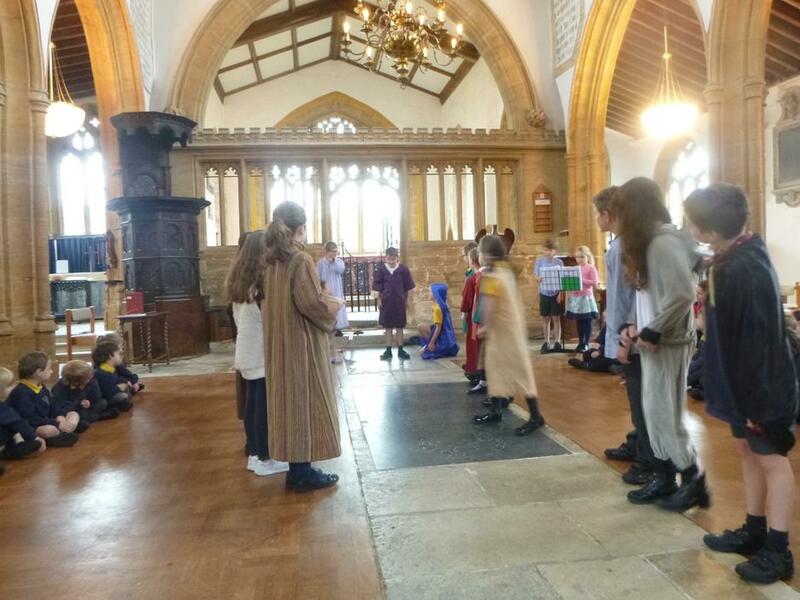 Next term our topic will be based on the children’s author ‘Giles Andreae’ beginning with his story about underwater creatures ‘Commotion in the Ocean’. I’m looking forward to hearing about your favourite underwater animals!